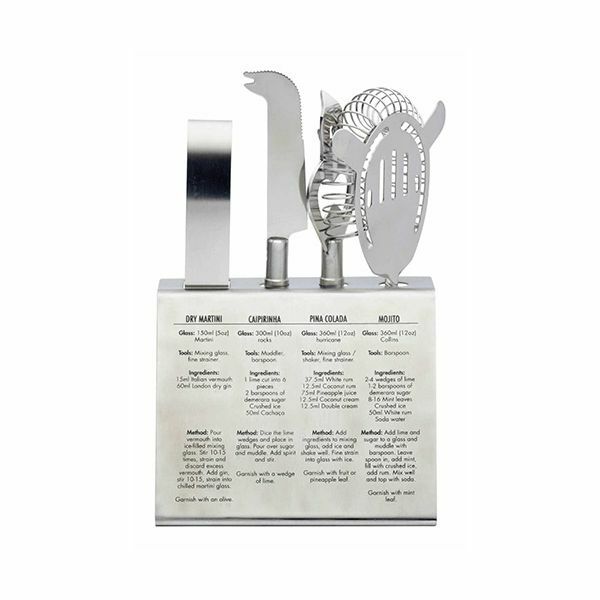 Set includes: Bottle opener, Cocktail strainer, Bar knife, Stainless steel stand. 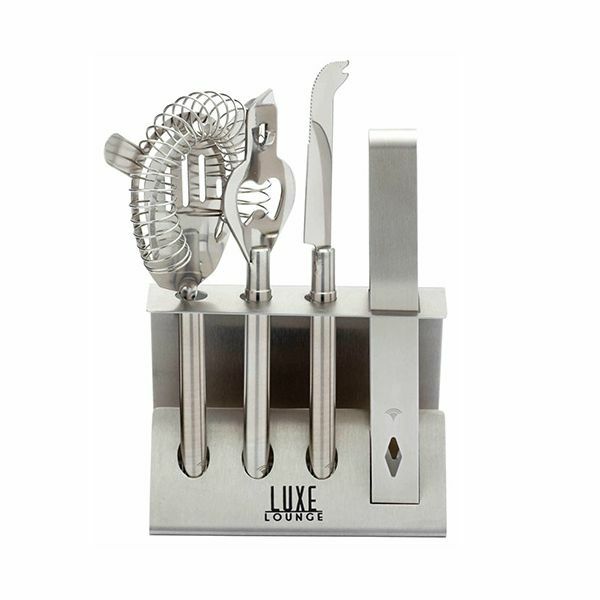 The perfect set for the cocktail connoisseur at home, this set includes a bottle opener, cocktail strainer, bar knife, pick and a stainless steel stand to hold them all. 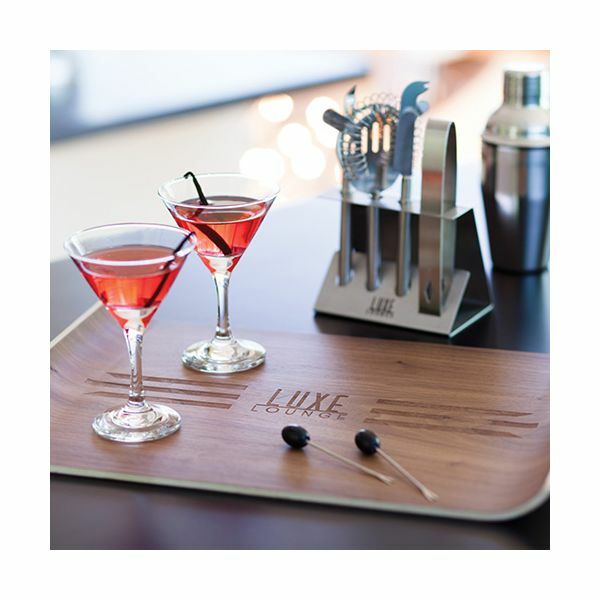 Everything you need for making and serving stunning cocktails at home and for entertaining.